Forest Garden Malvern Log Cabin 3.6 m x 3.6m: The Malvern Log Cabin by Forest Garden is a wonderful building with an integral porch perfect for sitting and relaxing in the summer months. The 3.6m x 3.6m Log Cabin is made from high quality, smooth-planed 28mm machined logs with 19mm tongue and groove floor and roof boards for a durable structure. 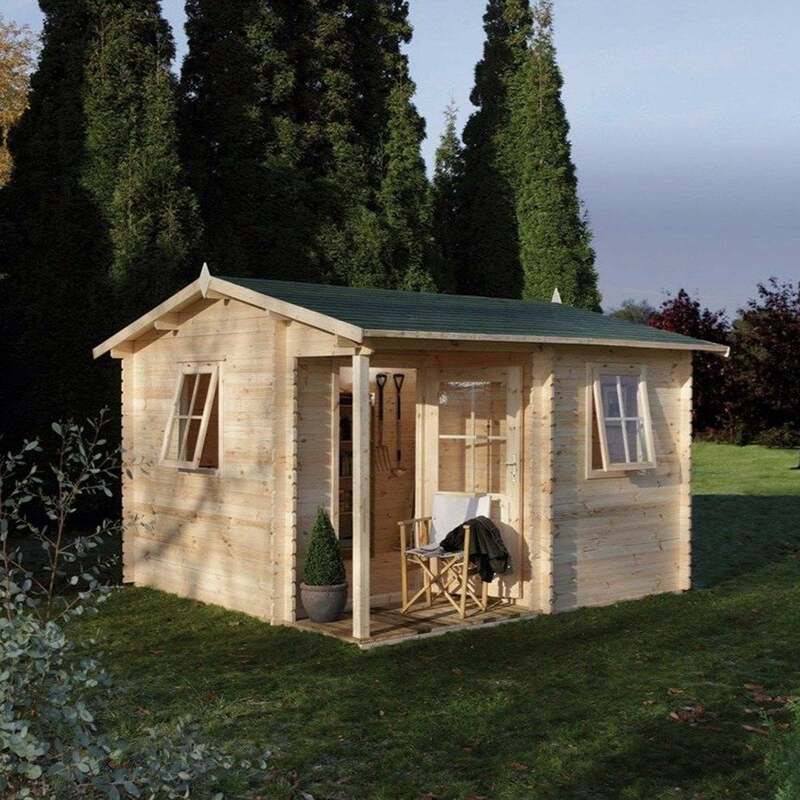 The Malvern Cabin is ideal as a garden office, a quiet retreat for relaxing or a hobby room. The 3.6m x 3.6m Log Cabin features an attractive reverse apex roof and is finished with green/ grey fleck rectangular roof shingles. The Forest Garden Cabin features a single glazed door and two opening windows that ensure the building is filled with natural light and ventilation and also features a mortise locking door mechanism to keep your belongings safe and secure.